An hour of songs, rhymes, music and a story for sunny days, with 29 tracks. Includes I Do LIke To Be Beside The Seaside, The Banana Seller, Ice Cream Song and Flowers Grow Like This. 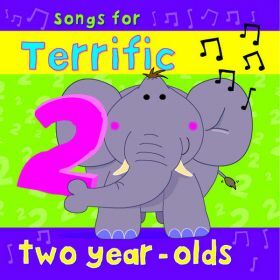 An album of 19 songs and a medley for a happy second birthday. Tracks include Happy Birthday To You, Postman Pat, The Wheels On The Bus and If You're Happy And You Know It. Click on the YouTube link, for a singalong video of "Happy Birthday To You" for two year olds. An album of 19 songs, and a pop style medley, for a happy third birthday. 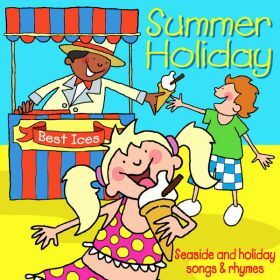 Tracks include Happy Birthday To You, Never Smile At A Crocodile, Five Fat Sausages and Oh I Do Like To Be Beside The Seaside. Click on the YouTube link, for a singalong video of "Happy Birthday To You" for three year olds. 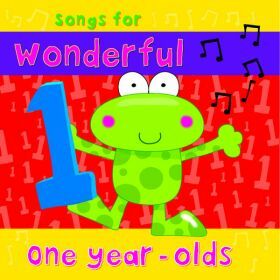 An album of 21 songs for a happy first birthday. Tracks include Happy Birthday To You, Humpty Dumpty, Pussycat Pussycat and Jack In The Box. Click on the YouTube link, for a singalong video of "Happy Birthday To You" for one year olds. 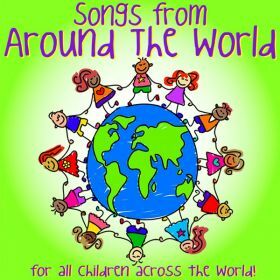 An hour of songs from around the world, for children across the world. 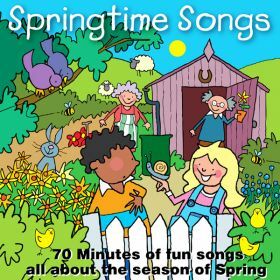 70 minutes of fun songs all about the season of Spring, especially recorded for children. 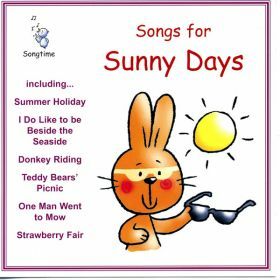 Tracks include English Country Garden, The Sun Has Got His Hat On, Bouncing Bunnies and Little Cuckoo. Available on iTunes,Apple Music, Amazon Music, Spotify, Google Play and Deezer, using the links below. This album is not available as a physical CD. 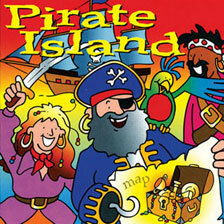 Click on the YouTube link to sing along to songs from this album. From cuddly friends to TV favourites, enjoy 28 songs and rhymes all about teddies. Tracks include Bare Necessities, Teddy And His Friends, It's So Much More Friendly With Pooh and Me And My Teddy Bear. 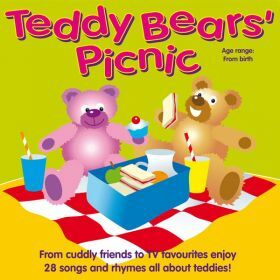 Click on the YouTube link for a singalong video of Teddy Bear, Teddy Bear, a song on this album. 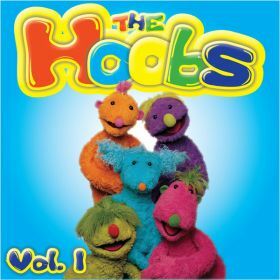 A collection of the original songs as performed by The Hoobs and The Motorettes in the first 25 episodes of The Hoobs. the popular pre-school TV series produced by The Jim Henson Company. Tracks include Monkey Talk, Green Spotty Frog, A Special Present and When You're Shiverin'. 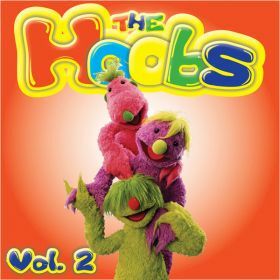 51 more original songs, and the theme, from the second group of 25 episodes of The Hoobs, the popular pre-school Children's TV series, produced by The Jim Henson Company. Tracks include Seaweed, A Pair Of Shoes, We Can Use It Again and When I Fly. 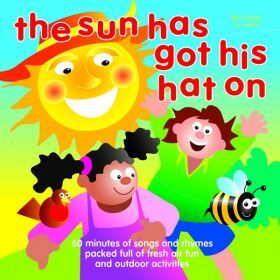 Sixty minutes of songs and rhymes packed full of fresh air fun and outdoor activities. Tracks include Flowers In The Rain, Oh What A Beautiful April Day, Creepy Crawlies and Dance The Busy Bee. 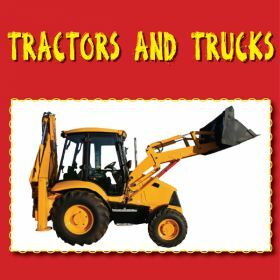 A compilation of tractor and truck related songs, including Little Red Tractor, Wheels On The Tractor, The Fire Engine, Here Comes The Roller and Big Red Lorry.